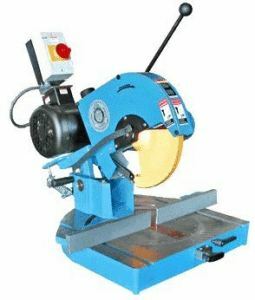 This week we’ll be looking into a couple of 12-inch miter saws for when you want to step things up a gear with some serious cutting action. With sliding models, you’ll be able to cut larger workpieces more easily but you can now enjoy accuracy to accompany sheer brute force. 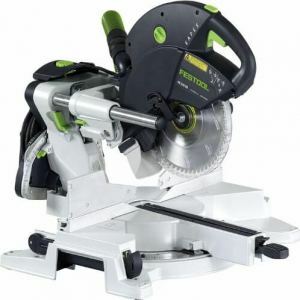 In today’s Doitpower 12-inch dual bevel miter saw review, we’ll break down a budget option if you’re not on the trail of expensive exotica like the CRL CTD. 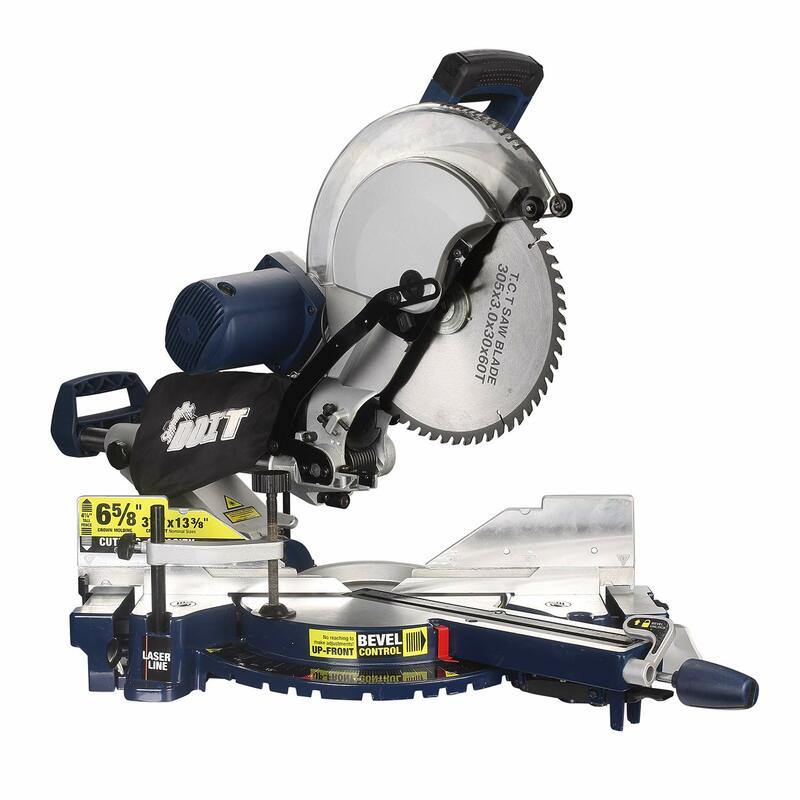 This miter saw is an absolute bargain! Used it to cut 2×4 rails and pickets for my new fence. The laser is on point and extremely accurate. The dust bag doesn’t do much but considering other miter saws were charging twice as much as this one I’m allright with it. Highly recommend this miter saw. If you want the raw strength of a 12-inch saw, there’s no need to feel like you have to drop four figures on your quest. Doitpower operate an online store retailing a range of electric tools, garden tools and accessories which are built to a high standard but sold at very keen prices. This 12-inch sliding compound miter saw doesn’t break the mold. Don’t make the mistake of thinking a budget saw means poor performance or diminished functionality. Off the bat, the 15-amp motor is more than capable of generating the power for even ambitious cutting projects. This corded saw runs on the standard 120 volts so there’s no messing around or rejigging required. You’ll enjoy a laser cutline so you can make all the cuts you need guided with precision every step of the way. The super-bright LED will ensure you get a shadowed effect as you work making sure you can operate briskly and efficiently. The sliding compound means you’ll be able to easily tilt the blade from 0 to 45 degrees to both left and right. The thumb-operated lever to activate the tilt is front and center and extremely user-friendly. Combined with this flexibility, you get a fantastic depth of cut up to 6 5/8 inches vertically. You can harness the 40 teeth on the 12-inch blade to slice your way confidently through a range of materials without overburdening the saw. 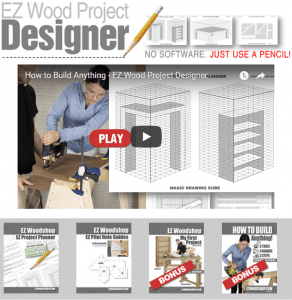 With straight cuts, bevels, miters and compound cuts at your disposal, you’ll get an incredibly adaptable woodworking experience for a fraction the cost you might expect. Although it’s listed as a bare tool, you’ll get the blade included. It’s not just cutting performance you get with the Doitpower miter saw but comfort into the bargain. The handle is designed so it’s non-slip, damps down the vibration that can come pulsing through on some cheap saws and lets you beaver away for extended period without fatigue or blistering setting in. A debris-free workshop is paramount when you’re woodworking. Dust and airborne irritants can wreak havoc with your respiratory system and if you have allergies, they’ll be further inflamed. Even if you wear the correct safety gear, dust remains a menace if left unchecked. Doitpower throw in a dust bag so you’re halfway there. Install the correct dust extraction system and you can work away in comfort and safety. 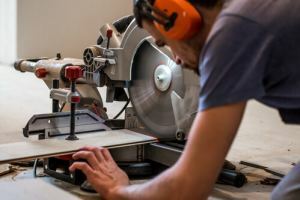 A wrench, clamp and a couple of extension bars are a surprise bonus with a cheap 12-inch miter saw so Doitpower really have covered all bases for you without demanding a king’s ransom. 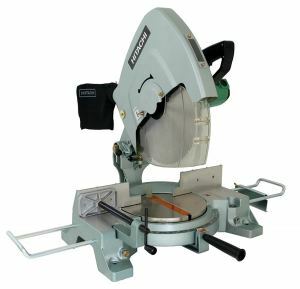 If you’re still in any doubt about the suitability of a 12-inch miter saw, check out our recent review exploring the merits of a larger saw over its 10-inch counterpart. Once you’ve decided that a beefier saw makes sense, it’s certainly worth popping the Doitpower sliding compound on your shortlist. When you use this saw, you’ll really be struggling to see how it can come in so cheap. With the bells and whistles and the laser guide and sliding compound nature along with enduring build quality and plenty of extras, if you veer away from the usual brands and fancy taking a chance on something different, we can’t recommend the Doitpower strongly enough. 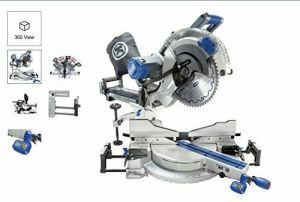 For anyone still on the fence, the 2-year limited warranty is a great bonus for a saw occupying this price range. 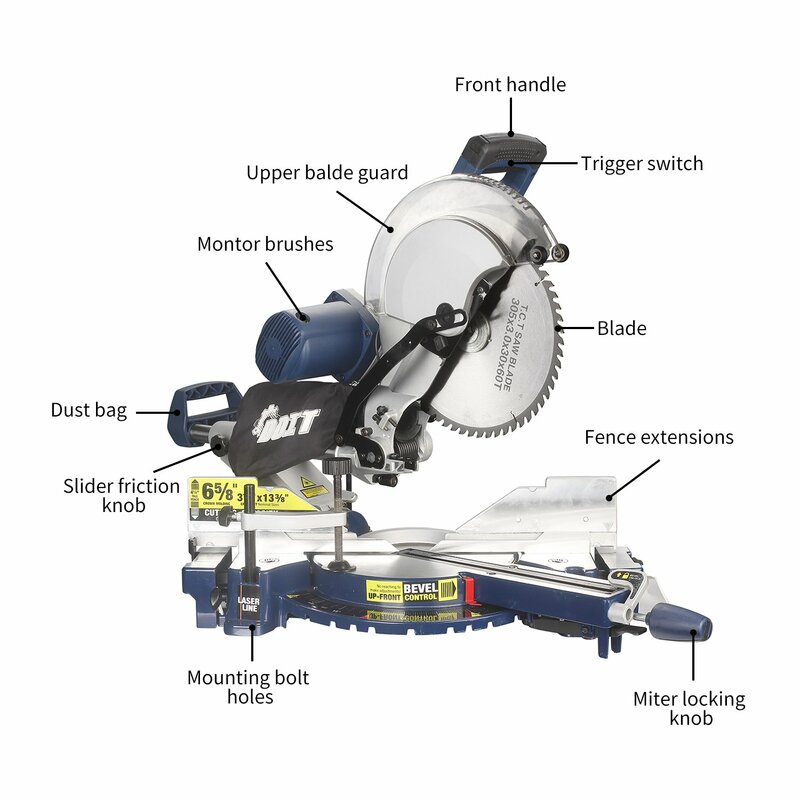 Check out the Doitpower miter saw with confidence today and get started with a big project tomorrow!